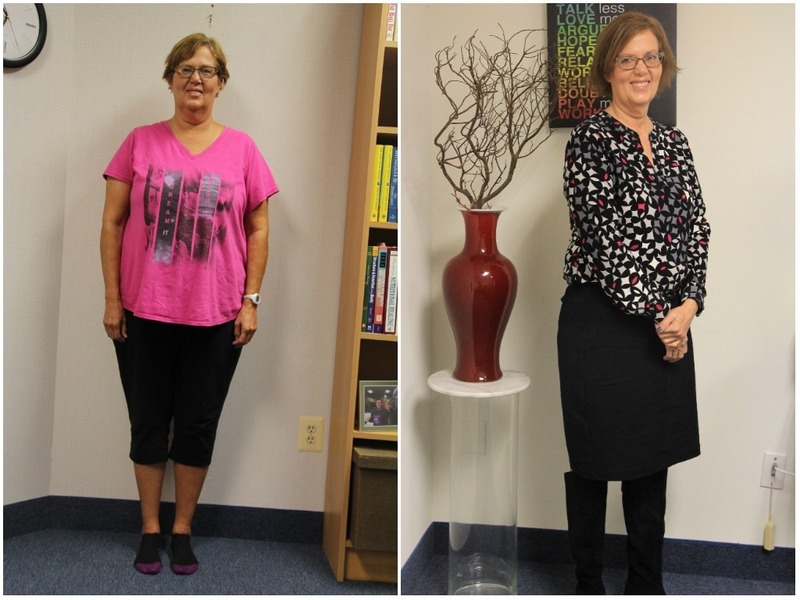 Home / Weight Loss / Real Weight Loss Stories / Deb Stewart’s Weight Loss Journey Proves You Can Lose Weight Even At 50! 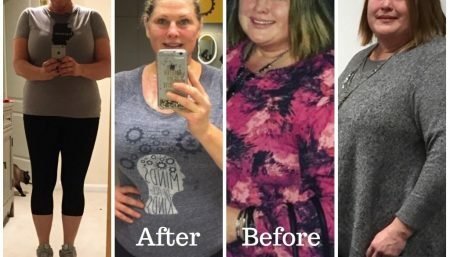 Deb Stewart’s Weight Loss Journey Proves You Can Lose Weight Even At 50! According to Veronique Cardon, founder of The CogniDiet® programs, Deb Stewart is a beautiful person, inside and out — a gentle soul. She came into TheCogniDiet®’s clinical trial in 2016 as a pre-diabetic, frustrated at not being able to lose weight at 50. She was constantly tired and somewhat depressed. Deb was a true vegetarian with serious carbohydrate and sugar addictions. She was a pizza, rice and pasta lover, experiencing day long cravings triggered by this highly starchy regimen. Although she was a vegetarian, vegetables were absent from her menu. Cooking wasn’t her thing, either. But with the right help, Deb was able to transform her lifestyle, even at 50 years of age. Check out Deb Stewart’s incredible journey in an exclusive interview with Women Fitness below. When did you realize that you needed to lose weight? I have always known I needed to lose weight. I’ve had a weight problem all of my life. I have been on many diets throughout my life. I had not been at a healthy weight for many years, and even when I was at a healthy weight, it never lasted for long. I always, and very quickly gained the weight back. I had gotten to my highest weight right before starting the Cognidiet back in September 2016. How has your weight loss journey been? What were the milestones that you had to overcome? My weight loss journey has been easy. I never thought I would ever say that about losing weight. I never felt like I was on a diet. I went into this journey with high cholesterol (for years). I was also pre-diabetic. I felt horrible, I had brain fog all of the time, was tired all of the time and was just not happy. I was out of control in my eating and hungry all of the time. I was desperate. When I started this diet I told myself that I would do whatever was asked of me, whether I agreed with it or not. When Veronique told me it was okay to eat eggs, and fat, I did it, even though I was hesitant. I never thought I could eat these things because of my high cholesterol. Through this journey I learned how to understand my appetite. I now take 20 minutes to eat my meals instead of inhaling them in 5 minutes, and because of this I eat less and am satisfied with less. I learned what food was doing to my body. I now understand carbohydrates. I cannot believe with all the diets I’ve been on, that no one has ever taught me about carbohydrates before! I learned about the importance of protein in my diet, as well as vegetables. Before Cognidiet I was a vegetarian who did not eat vegetables! Now I understand why I was hungry all of the time and why I craved sugar like a drug! Having all this information has kept me on this journey. Cognidiet has taught me to stop in my tracks before I put anything in my mouth. I only had one milestone to overcome and that was getting off of sugar. I was a sugarholic. After the first meeting at Cognidiet I went cold turkey. It took several days to get over the cravings, but that was it. I no longer feel the need to have sugar. I can do without it now. What is your fitness regime like? Years ago I took martial arts and loved it, so I decided to take Tae Kwon Do again. I go to classes 2 to 3 times a week. I also workout in the gym with cardio and weights 3 – 4 days a week. I am currently working with a personal trainer. In a typical day, what do you take for breakfast-lunch-dinner? And what are your go-to healthy snacks? Breakfast – Protein drink (usually made with water, but sometimes with homemade almond or coconut milk). Dinner – One of my favorite meals I make is cauliflower crusted pizza. I also make my own tomato sauce (I like to know what goes into the food I eat) I usually put some ricotta cheese and mozzarella cheese on top. Who/What do you consider the greatest motivation behind your healthy weight loss journey? This is a hard question to answer. I cant come up with my greatest motivation. I have several. One of my greatest motivators is the way I feel about myself. When I started this journey I was a size 22, and the other day I just bought a pair of pants that are a size 12! My triglycerides dropped 81 points! And I am no longer pre-diabetic! I feel like anything is possible now. I am changing my life in other ways. I am a lot less stressed, I am organizing, and I am dating! (something I have not done in a very long time) I am setting goals for myself and meeting these goals like I’ve never done in the past. I am also very motivated by Veronique. I am so thankful and gratetful to her. Without her I know I never would have learned all I learned, and never would have done so well. I was very impressed to find out that the top of the line results in her clinical trial were presented at The American College of Nutrition in November 2017, and am also excited for her book coming in 2018. I hope many people are able to learn from it and succeed the way I did. What is your 2018 New Year Resolution to maintain a healthy & fit lifestyle? My resolution is going to be to continue eating the way I have been, continue to learn new recipes, and continue to work out both in the Martial Arts and the gym. After all these years I have finally found something that works, so I’m just going to keep doing it. For more such real inspiring stories, check out here. 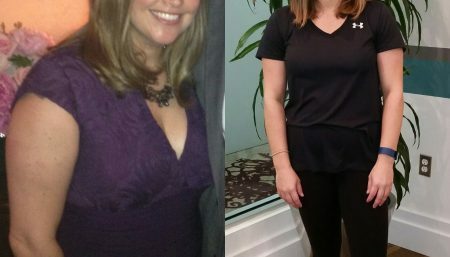 Real Weight Loss Stories How Tara Burgess' Small Changes Lead To Big Big Results! 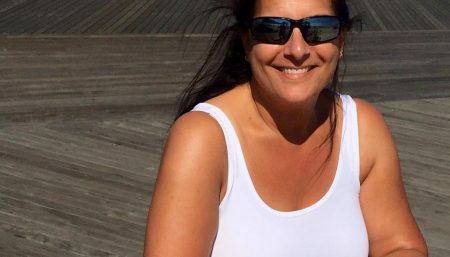 Real Weight Loss Stories Bestselling Author Jené Luciani Survived A Near Fatal Blood Clot And Discovered Fitness That Changed Her Life! Real Weight Loss Stories Incredible Story Of Cathrine Shinn About Losing 100 Pounds In A Year! Real Weight Loss Stories How Roberta Perry Lost 30 lbs And Actually Kept It Off!